Summertime is here, which means it’s the time to be gentle with your stomach. When the temperature rises, eating too many hamburgers and BBQ can land you in trouble with bloating and stomach aches. The best thing to do in summer is to consume lighter meals, especially during dinner time. It will allow you to enjoy the sunny season with tasty food without worrying about digestion issues. Here are 4 light dinner recipes to try that won’t leave you feeling heavy during the summer. 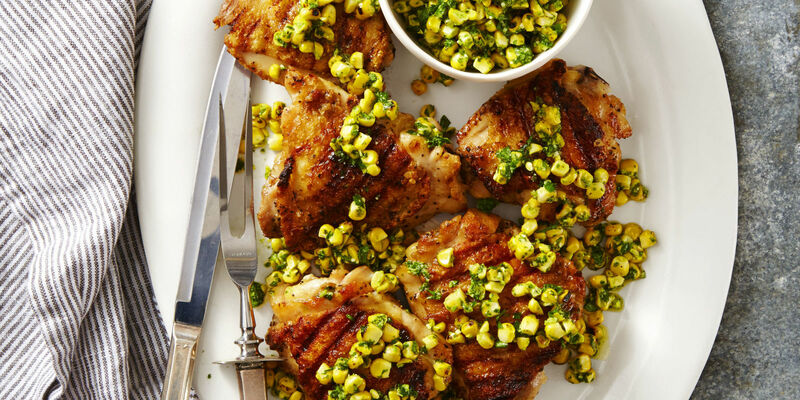 1) Grilled Chicken with Herbed Corn Salsa Enjoy juicy fresh herbs flavoured chicken thighs by preparing this light cuisine. Grill it at 165°F (covered) for 15-20 minutes and turn it over once for even cooking. Now grill corn on medium for about 10 minutes while turning it a few times. Prepare the herb sauce by mixing grated parmesan, garlic, mint leaves and basil leaves in a food processor. Add extra virgin olive oil and lemon juice to the mixture and stir to mix well. Cut kernels off the cob and mix it with the herb sauce. Garnish grilled chicken with the mixture of corn and herb sauce. Serve and enjoy your dinner. 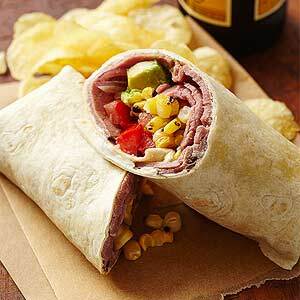 2) Corn and Roast Beef Wrap Relish the southwestern flavours packed in this colourful wrap. For this light meal, preheat a skillet on medium to high heat. Cook corn (brushed with olive oil) on the skillet while turning occasionally for 10-12 minutes until it becomes tender and charring spots appear. Cut kernel off the cob after cooling. Spread cream cheese on the burrito-sized tortilla and put sliced, cooked, roast beef to cover the base. Now put grilled corn kernels, red onion, tomato and avocado (all sliced) on the tortilla and roll it up to form a wrap. Serve by cutting it into two parts. 3) Chipotle Beer-and-Butter Shrimp with Rice This is a balanced cuisine where the spicy flavours of cumin and chipotle are neutralized by adding butter, beer, and lime. All the ingredients are sealed in an aluminum foil and then grilled to retain the juiciness of shrimp and make a flavourful sauce. First, preheat a grill on medium. Make a foil bowl by folding all the sides up and put peeled, deveined shrimp in it. Add chipotle sauce, smashed garlic, dried oregano, ground cumin, coriander, and salt. 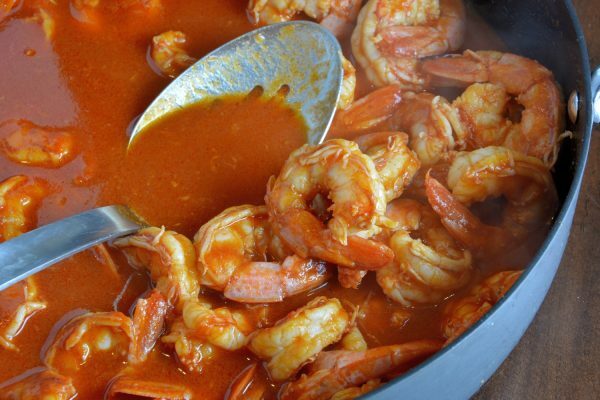 Mix the ingredients properly with shrimp. Now pour beer and pieces of unsalted butter into the foil. Seal the foil tightly with another foil by folding the edges. Start cooking by placing the sealed foil on the grill and close the lid. Cook for 4 to 6 minutes or until the shrimps turn pink. Now remove from the heat and let it sit for a couple of minutes. Tear the foil seal carefully (the steam can burn you), sprinkle some chopped fresh cilantro and squeeze lime juice. Serve this juicy cuisine with rice and enjoy your meal. 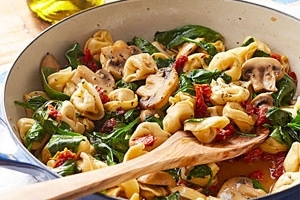 4) Tortellini, Spinach and Mushrooms in Wine-Butter Sauce Nothing is better than having fresh summer vegetables tossed in cheesy pasta. Firstly, prepare cheese tortellini as instructed on the package and put it aside but don’t throw away the cooking water. Now melt butter in a skillet over medium heat. Add minced garlic and sliced mushroom to the skillet and cook for 5 minutes while stirring. After the mushrooms become tender, pour in white wine (or chicken broth), dried basil, oil-packed dried tomatoes, salt, cayenne pepper and pasta water. Cook on simmer for 3 minutes until the liquid evaporates to half. Keep stirring and add small amounts of butter to the skillet. Remove the skillet from heat and add cheese tortellini and coarsely chopped spinach (until wilted). Garnish it with nutmeg (optional) and serve hot. These recipes are beneficial for both your stomach and taste buds. These easy to make cuisines are full of flavours and seasonal vegetables glazed with fresh herbs. Make the most of your dinner time by trying one of these today.